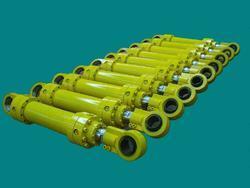 We are a leading Manufacturer of industrial hydraulic cylinders from Belgaum, India. We are a leading supplier of Industrial Hydraulic Cylinders. Our client can avail this item from us at a reasonable rate.